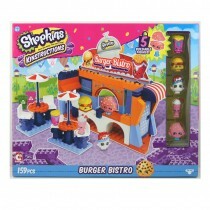 Grab a tasty burger from the Shopkins Kinstructions Burger Bistro. 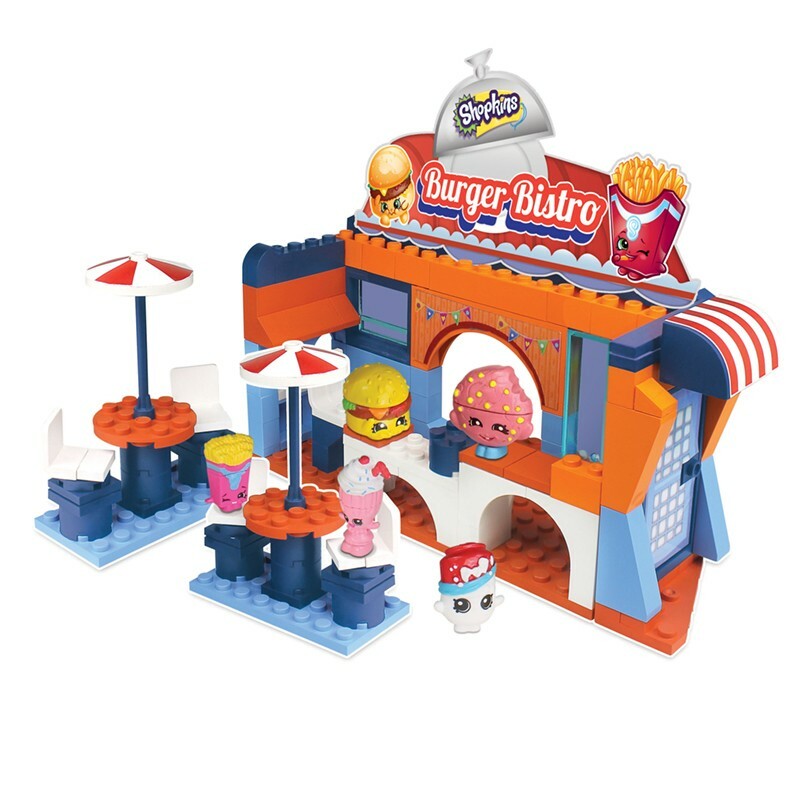 This colourful restaurant features a burger counter, signage and comes with outdoor seating and parasols for dining outside. 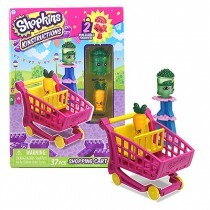 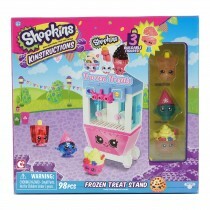 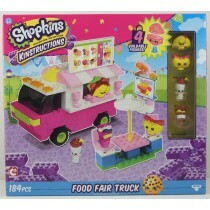 Includes 5 foodie Shopkins characters which pull apart and re-attach with other figures for Mix & Match fun. 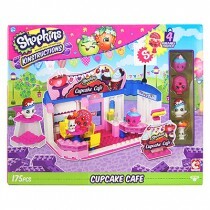 Includes 5 buildable Shopkins and over 150 pieces. 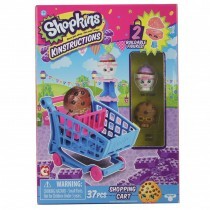 Expand and customise your Shopkins world with these easy-to-build Kinstructions sets. 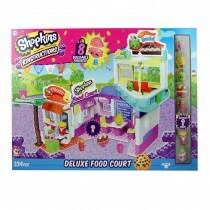 Have as a standalone location or attach to other Kinstructions playsets to create a huge shopping mall. 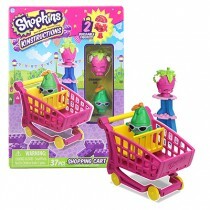 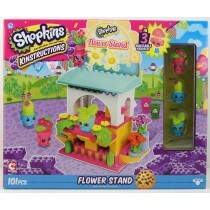 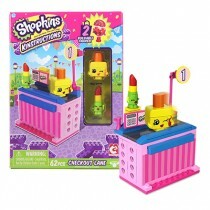 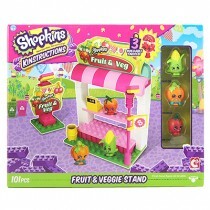 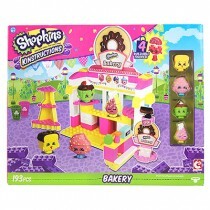 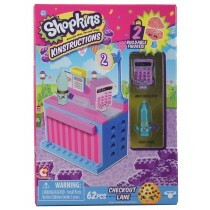 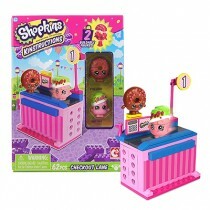 Includes 5 detachable Shopkins™ figures - pull apart to mix and match. 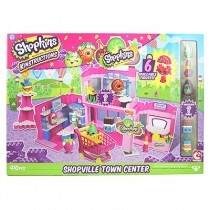 Compatible with most major brand construction sets.